Now continue with the weekly updates with the Scholarships, this week scholarship opportunities are out. 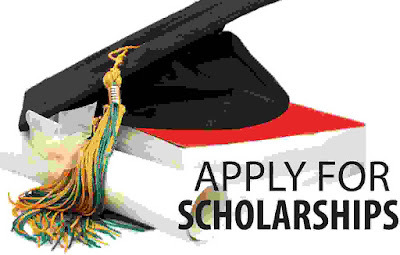 We are sharing the various scholarship opportunities with you readers. Check out the the below article carefully. The Ministry of Finance is inviting needy candidates to apply for this scholarship. Eligibility: Class XII pass (between 2014 and 2019) candidates who will be taking engineering and medical examination, with minimum 55 per cent score in AIYSEE 2019, can apply for this call. Details: Varying scholarship award to medical and engineering students with varying time duration, depending on the course. Laptops, Kindle and tablets will be given to the ones meeting the cut-offs. The Warburg Institute and University of London are offering this fellowship to post-doctoral scholars to promote research in Intellectual and Cultural History. Eligibility: The candidate must be a post-doctoral scholar who has received his or her degree in past five years or be a candidate who will successfully completed the defence of his or her doctorate or viva by November 23, 2018. Details: GBP 30,512 will be given for nine months, including London allowance on monthly basis. Ph.D. degree holders in the field of Geophysical studies can avail of this fellowship in the thematic areas of Astrobiology and the Origin of Life, Earth and Planetary Science, and the Physics and Chemistry of Materials at Extreme Conditions by Geophysical Laboratory, Department of Carnegie Institution for Science. Eligibility: The candidate must be a doctorate in the related field at the time of appointment who has promising research and publication record. Details: Scholars will be given funding for meeting and conference travel, and for the publication of results from the post-doctoral work. The British Council in partnership with 25 UK universities is offering scholarships up to GBP 1 million, to 40 postgraduates and 27 undergraduate candidates from across the universities in UK, covering varied subjects like arts, design, engineering, law, management and more. Eligibility: Potential graduates, postgraduates and full-time students enrolling for January 2019 session, are eligible to apply for these scholarship invite. Details: Awardees will be receiving full tuition fee waiver. Deadline: November 30, 2018 How to apply: Online. UGC is offering scholarships for post-graduation study to top position holders of the university in their graduation programme and should have enrolled themselves for post-graduation in any recognised university, college or institute. Eligibility: The applicant must have done under-graduation from life sciences, physical sciences, chemical sciences, earth sciences, mathematical sciences, social sciences, commerce, languages and must not be more than 30 years of age at the time of admission in post-graduation. He or she must be first or second position holder in under-graduation programme. Details:~3,100 p.m. will be given for two years to the selected scholar. Disclaimer: We took this Information from The Tribune Newspaper published on 21st Nov. 2018.